I absolutely love Annemieke's feed and theme. It is always crisp and clean and I like seeing the books she promotes! Check out Annemieke's feed and then follow Signourney on Instagram! Marta's feed is goals. I wish I could have my feed look as beautiful! There is always a book on display and I find myself wanting to buy the books because she highlights them so well. 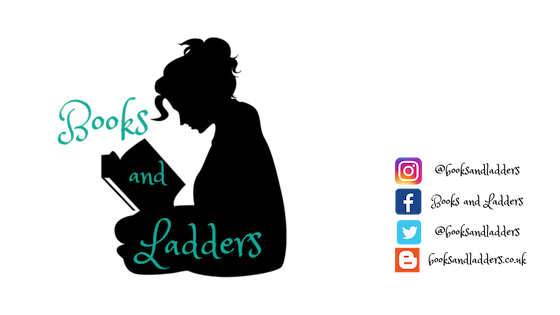 Check out Marta's feed and then follow TheBookMermaid_ on Instagram! Just like with Iris, I do not understand how Trisha does not have more followers. Trisha's feed is freaking incredible and I wish I could double and triple like some of her posts! Check out Trisha's feed and then follow TrishaJennReads on Instagram! Jolien's feed is bae. I look forward to seeing her posts as they come up on my feed and hope that you will follow her and add happiness to your day when you see her pictures! Check out Jolien's feed and then follow TheGummingBird on Instagram! Kaeley's feed always brings a smile to my face. I love her creativity and pictures, so I am so happy to be able to share her Instagram with you! Check out Kaeley's feed and then follow SpoilersMayApply on Instagram! The alliteration here is perfect -- as is Ruby's feed! I love her outdoor theme and her pictures are always bright and fun to see. Check out Ruby's feed and then follow RubyRaeReads on Instagram! Abby's feed is new to me (I found it because of this tweet and thread), but it is one of my new favourites! I love her new rustic theme, but the white theme was great too. Abby is so creative and I love seeing her pictures pop up! Check out Abby's feed and then follow PawPrintPages on Instagram! Annalisse has such a great feed because you never know what is going to be next, but you know it is going to be fantastic! I love seeing the books Annalisse posts to Instagram and I hope you enjoy following her too. Check out Annalisse's feed and then follow Hopeful125 on Instagram! I couldn't add in everyone to this and it pained me to make these decisions, but here are some other accounts you can check out that have less than 1000 followers but deserve 1 million! Who do you love to follow on Instagram? Leave your links below! Thanks for including me in this! Going to go through and follow everyone you have listed here.